Kiera is a Licensed Esthetician and the owner of Sonoran Serenity Spa. A native New Yorker, it has always been her desire to live in Arizona. After receiving her Bachelors degree from Manhattan College, she lived in Connecticut, California, and finally settled in Memphis, Tennessee, where she worked in Information Technology at the same company for 16 years. During her tenure, Kiera received her MBA from the University of Memphis. 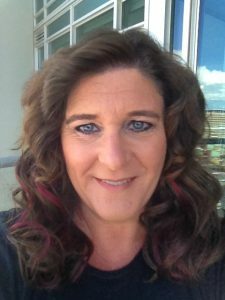 After deciding to pursue her dream, Kiera left a 27 year IT career, relocated to Tempe and enrolled in SWINA, Southwest Institute of Natural Aesthetics. As a graduate of SWINA, Kiera is utilizing her skills in designing custom facials and body treatments. One of her favorite endeavors is to create a skin care program that is specifically tailored to each individual. She uses a number of modalities in her treatments including electrotherapy – high frequency and galvanic, microcurrent and dermaplaning. In addition, Kiera has designed signature body polishes and wraps that incorporate the healing elements of the Sonoran desert. Kiera also provides waxing and brow tinting services and spray tanning.